You don't deserve to feel lost, helpless and out of control when it comes to your chronic pain or post surgery exercise strategy. I have to highlight that William's teachings and access to his coaching plus the availability of what feels like endless great information and thinking is without doubt more than worth the price. I haven't seen anything like this. The personal feel and the private group are something I can grow in. Introducing the most in-depth, online community program taking back pain suffers from feeling helpless to having complete control of their chronic pain or post rehab recovery. "William is solid help for anyone suffering from back pain. I had an S1 to T10 spinal fusion. I had been having a lot of difficulty knowing how to take care of myself with a lot of conflicting or incomplete information from my surgeon's office, PT, and what I was finding on the internet. William really understands, was very helpful, and supportive in helping me move forward securely and with confidence. He has assembled a great program beginning with the basics. I highly recommend him and the Fitness4BackPain Coaching program." You don't have to feel stuck between conflicting information and the fear of making the right first move. 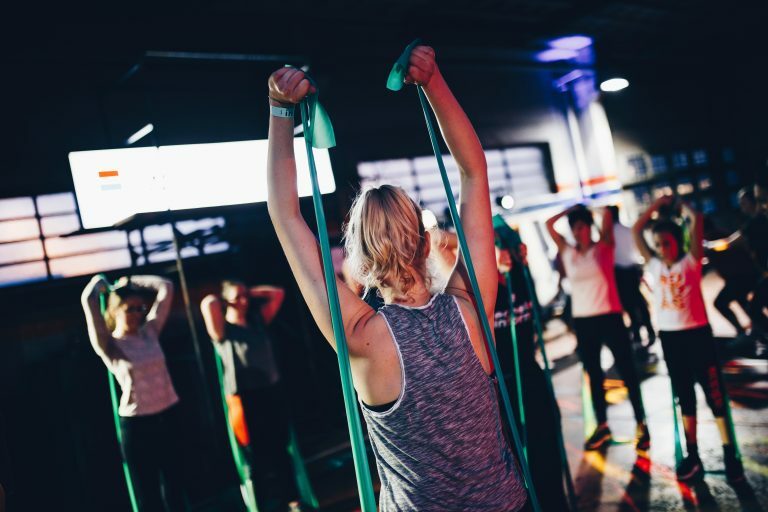 Everybody wants to talk about what exercises, stretches or mobility drills are safe for back pain but depending on the context in which it is being applied, it renders it practically useless to you. They don’t tell you that though. So you go on experimenting on yourself with this new hip flexor stretch. Meanwhile the facet damage you already have is becoming worse from you slamming the joints together trying to lengthen the hip flexor. It becomes another chunk of knowledge that gets thrown on top of everything else you have read and never gets applied effectively. You become a wealth of knowledge but have no idea how to apply it. You read time and time again that working out is one of the biggest pain relief tools but nobody is showing you HOW to workout if you do have back pain. You see, not only should you work out but you need to workout in a way that helps promote more confidence and a pain free and active life. This requires knowledge on how to harness the power of “normal” exercises to help get what you want. These exercises need back pain specific coaching though. You need to approach them a little differently then what you’re seeing others do on the internet or your local gym. You are at a point now where reading another article about someone else’s opinion of what you should do isn’t going to help. Just about every article you find written about solving back pain is junk if you don’t know how and when to apply its contents. There is a solution to having so much information and no real way to make sense of it all. I have some great news. I have spent the past 12 years of my professional fitness career, (8 of those training clients and finding freedom from my own pain after rupturing my L5-S1 disc) developing step-by-step videos, self-study courses and back pain/post surgery specific workout programs to help thousands of people all over the world. 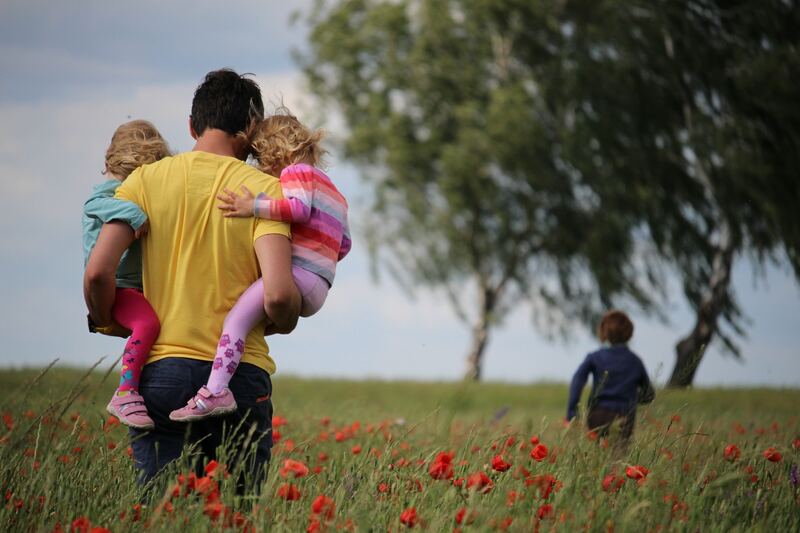 Clients ranging from general population, doctors, physiotherapists to people like you and me gaining confidence and freedom to live an active life with more control over their pain and even help their own clients do the same. Instead of keeping this content behind locked doors I have packaged everything I have into one private portal for you to get access to. I didn’t leave anything out and continue to add content monthly. 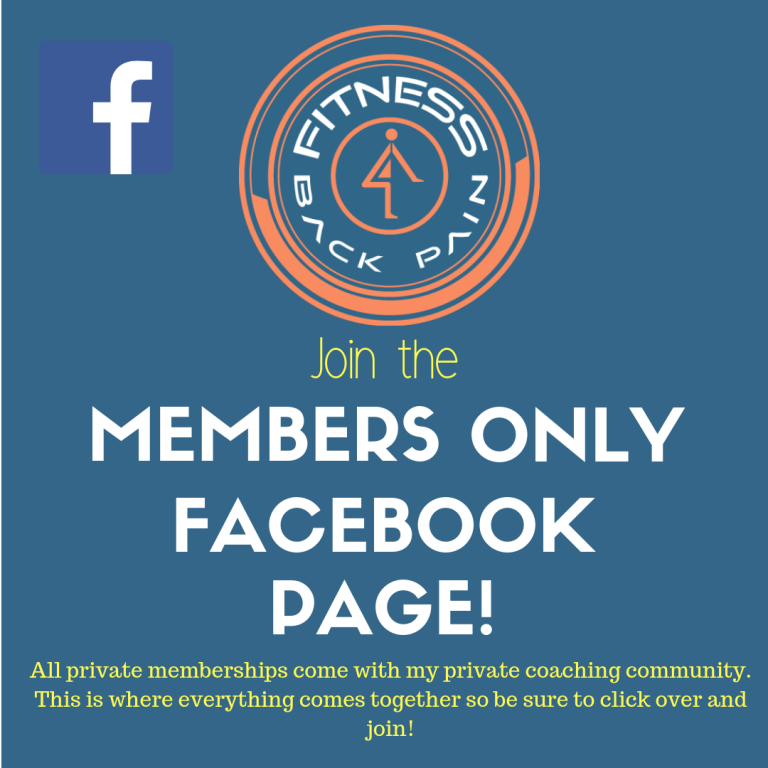 My F4BP Private Membership is packed with all of the essentials for you to learn how to exercise safely with lower back pain or after a major surgery. This membership was strategically designed to take you from being absolutely clueless to being able to re-write your chronic pain story. Check out what this membership includes. 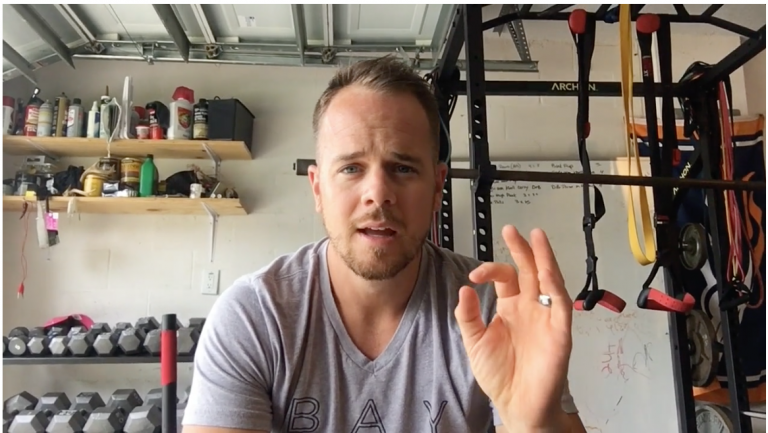 Use my done for you, video training course without worrying about the exercise choice, reps or sets and have full access to its creator (me) for any question and modification you may need. Stop following training programs and exercise videos that are not tailored for the sensitive back individual. You will have access to private coaching conversations, courses and webinars where I talk about the most powerful tools that will 10x your understanding of the healing process and give you a clear direction with applying exercise to your life. When should I push forward with training or pull back? What exercise should I start with? Why certain exercises cause pain and others don’t. How do I know when to progress to the next level? Not only will you have access to what is already there but your questions will be answered by me and created into content you can have forever. Stop listening to those articles and YouTube videos claiming that stretching the lower back and hamstrings is your solution. They are dead wrong. 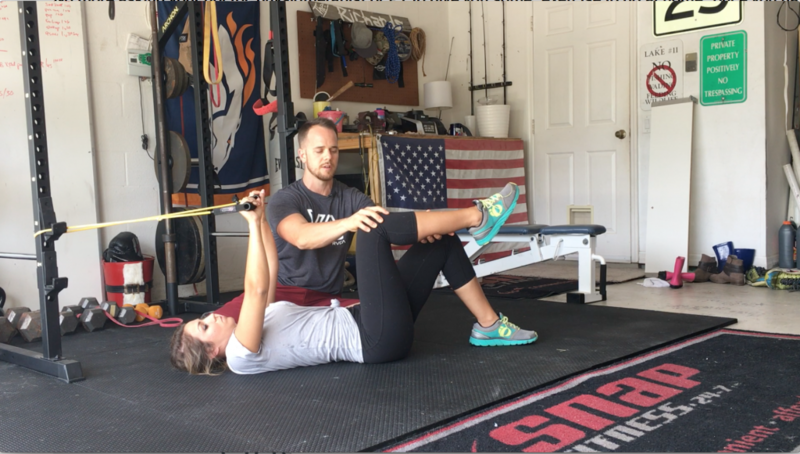 I show you how to approach stretching and mobility so that it helps, not hurts. You will know the difference between damaging and safe mobility and tissue release techniques without having to do any risky experiments AND have access to my ever-growing mobility for back pain library. Get direct access to me and the rest of the community, without having to search the internet for other people who have gone through or are going through the same thing. People just like you, learning to train smart to prevent pain and future damage. This alone is worth its weight in Gold. It’s where all the magic happens and where your personalized content gets created. As the F4BP Portal grows every month I am also adding your personal content for you to refer back to whenever you want. Think of me as your personal back pain recovery assistant. You will confidently understand the most effective and safest way to train your core, without having to spend hours searching the internet AND have access to your own personal sensitive back safe exercise library. No more second guessing which exercise to start with or if its safe for you or not. Each exercise is recorded and coached for the sensitive back or post surgery rehab person in mind. From elementary developmental core exercises to more advanced. In order to progress and heal well you have to know the tips and coaching cues that the “normal” exercises need to fit your sensitive back/post surgery needs. 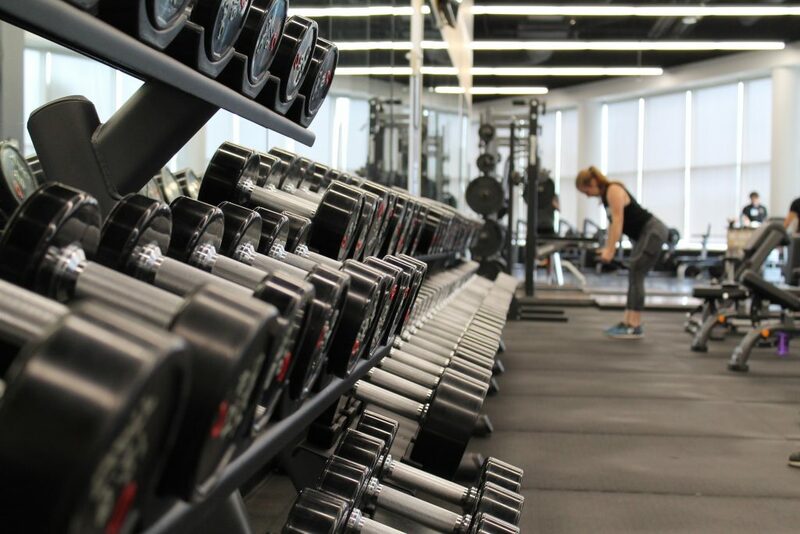 Learn the how, when and why for each exercise in the F4BP Exercise Library and know exactly how to tailor it to fit your needs. Not only will you have a workout to follow but you will have access to my ever growing exercise video database. It’s one thing to start to exercise and another to attempt something someone you trust gave you but the fact is, you need exercises that are being taught specifically for someone with a sensitive back history. This is like having your own personal YouTube showing you how to safely and successfully do exercises with the back pain warrior in mind. Over $1,434 in value and it's constantly growing every month! -Access to all future monthly updates and add ons for the life of the membership worth $400. The list goes on and your already at $1,434 in value in just whats listed above. You are literally 2 clicks away from finally feeling like you are in control! Click 1: Create your profile. Click 2: Your IN! Dive in head first and introduce yourself to the family! Click which option fits you best and I’ll see you on the other side! These are just the big sections you will have access to within the private membership. What I don’t mention is the other bonus content you will get for joining this week. I wanted to leave room for you to be able to keep your gym membership and maybe even your trainer and be able to use a real back pain training coach to help you with your journey. I can’t find a single thing online or in a store that’s offering safe exercise solutions for post surgery and back pain warriors comparable to the F4BP Private Membership. Believe me I have spent 8+ years of my life looking. Listen, I want this to be a no brainer for you. Seriously, this is going to sound crazy but I want to earn your trust and success story so bad that I am offering what I call my Triple Risk Free Guarantee. Feel free to refund your membership. 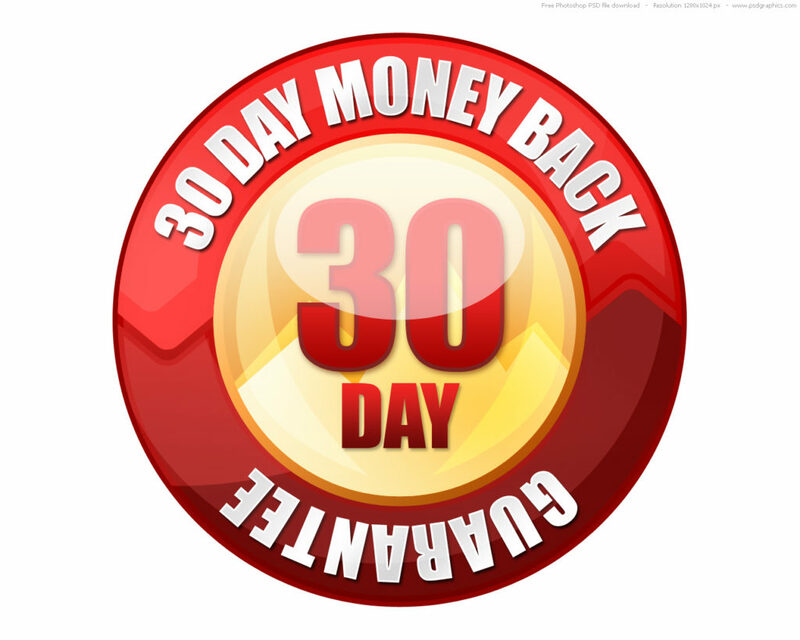 Use the F4BP Private Membership for 30 days and if you get absolutely no value after working through it just let me know and I’ll get you every penny back. If the videos and free downloads don’t help with any aspect of you working towards safer exercises and more confidence in your body and its ability to move and be pain free. Think about this for a minute. What would life be like if you don’t have to wake up everyday worrying about every move you make and how it will affect your pain? Not having to live in fear of moving or exercising and how it could make things worse or bring on another spasm. 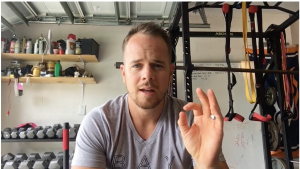 Not worrying whether or not the exercises you’re using are the right ones for you and getting all the best tips and tricks to doing normal exercises that are tailored for you the back pain/post surgery warrior. This area of your life does not need to be so confusing and fueled by fear. You can have the piece of mind and freedom you had before. This is a chance of a lifetime to finally be able to move the uncertainty around jugging your desire to be healthy and active and navigating life with chronic back pain or a history of spinal surgeries. Come be apart of a community of people making every day changes for long term results! Don’t forget. I only want you apart of the community if your willing to do the work and are finding value. If you open this membership and find nothing in it will help you I’ll give you all of your money back. I intentionally am giving you everything and more for this to be a one stop shop for you. I don’t know where else you will find this amount of personal interaction and custom content for you but if you can I’ll give you your money back. No questions asked.